After securing the top pick in the MLB Draft last year and the trades that have brought needed talent into the system, the Tigers have had a drastic transition in their top minor league players since my midseason list last year. With this infusion of talent, the system has been overhauled but it not quite ready to compete with the best farm systems in baseball, but the path of a rebuild can be seen and can only improve more with more top picks and trades in the coming years. For another point of reference, this new midseason Top 50 list can be compared to my 2018 preseason Tigers Top 50 Prospects. Mize is the Tigers consensus top prospect after being selected first overall in the MLB Draft back in June. Scouts rave about his plus pitches, his splitter and fastball being the star pitches, both which grade out as plus pitches. He has the ability to miss bats and did throw a no hitter this year while playing at Auburn. He has started is Tigers career in Lakeland where in his first taste of action where he threw on a imposed limit of 3 innings, throwing 4 strikeouts over those three. His second outing wasn’t as good, where he gave up two home runs on 3 earned runs in 3 innings The big issue with Mize is his durability. He struggled with some elbow injuries in his early career in college, so those will be a chief concern with his usage by the Tigers pitching coaches. Some scouts feel his stuff is major league ready, but I get the sense the Tigers will not rush him as they are still a couple of years from even competing for the playoffs. He’ll finish the year most likely in Lakeland and will probably get a shot at AA sometime next year (if he doesn’t start there). I could see him in the major leagues possibly as early next year, but again, I would expect the Tigers to keep him on a leash and not rush him up the ranks. He has the ability to be the ace of the next run of Tigers pitchers and is someone who should be definitely on your radar. Manning has had solid year to continue his growth. After struggling at the end of last season with the transition to Low-A, he game back to post solid numbers that earned him a both promotion to the Florida State League and a spot on the US Roster for the Futures Game. The big concern with Manning since he was drafted has been his control and command of his pitches. If he can master those, he has the potential to be a solid #2, possible ace, but most likely falls into a #3 or #4 pitcher. He is still young, so there is still time to develop and tweak his pitches. For the year, he is pitching to a 3.33 ERA over 16 starts in 83.2 innings (a career high). He has had solid strike out numbers, punching out 110 batters, allowing only .209 avg against, and a 1.23 WHIP that has actually improved since the promotion to Lakeland. He tends to get into trouble away form his home ball park, as that is where his numbers are dramatically different. If he can conquer his demons away from his home ballpark, watch out. I have hope that he can reach his potential, but he is still a couple years off from the major leagues. Faedo, the Tigers first round selection in 2017, has enjoyed a nice first full year in the Tigers system, splitting time between High A Lakeland and AA Erie. He has started to settle into his first season of pro ball, but one worry is that his fastball speed is down from the previous year at Florida. The main point of criticism on him by critics is his delivery, which some feel will spell future injury concerns. This coupled with his slower fastball, worry me just a tad to if he’ll reach his high level potential of a solid #2. He is a definite back end starter on his worst day and is just about major league ready, so there is only room to go up from there. On the year, he is pitching to a 3.39 EAR over his 18 starts in 93 innings. He has struck out 80 while allowing opposing hitters to only hit .214 against him with a solid 1.06 WHIP. Perez, out for the season with inflammation in his right shoulder, has had a terrible time since first arriving in the Justin Verlander trade last August. After suffering an injury in spring training, Perez missed most of the year returning shortly before the all-star break. In his 7 starts between the rookie leagues and in High A, he struggled. He finished the year with a 6.52 ERA over 7 starts in only 19.1 innings. What is really concerning is his 2.04 ERA and allowing opposing hitters to hit .341 against him in High-A, a level lower from where he finished his 2017 campaign. This set back definitely hampers his development and hopefully these numbers are just a blip in the tremendous potential he does have to be an above average starting pitcher. Cameron, in my opinion the top position player in the system, has had an outstanding year that recently led to a promotion to AA. His tools show that he is indeed lining up to be the Tigers center fielder of the future, where his above average speed speed and plus defense should play well in the expansive Comerica Park outfield. His other skills, all have started emerging, so at his best he could be a solid 20/20 type player if his power develops. On the year, he has hit .279/.363/.429 with 8 home runs, 17 doubles, 8 triples, and 22 stolen bases. Since his promotion to Erie, his numbers have been even better, with him mashing .305/387/.506 with a .893 OPS (his OPS for the season is .792). If he can keep up those AA numbers, watch out. He is a top 100 prospect in the making and I would not be shocked if he hits most websites list starting next winter. Burrows is one of the first prospects that had to drop. It isn’t because he hasn’t been solid on the year. He has posted respectable numbers this year in a repeat visit to AA Erie. On the year, he has pitched to a 4.18 ERA with 97 strikeouts, a 1.30 WHIP, over his 103.1 innings. The positives on his repeat performance is his ERA dropped from his 4.72 ERA and his WHIP (1.47 to 1.30) and AVG against (.269 to .234) have also dropped from his first stint in Erie last year. These point to him figuring it out, but I worry that this may not be enough. I was expecting better numbers and hopefully a promotion to Toledo by this point of this year, but he hasn’t fully figured it out. This gives me worries about his future role in Detroit. He is looking more and more like a back end #4 or #5 type starter or even a bullpen piece. He has the talent, it all just needs to come full circle. The rest of this year and into next year (where I expect him in AAA), will be the final test on his value. If he ends up a bull pen piece, his fantasy value plummets (think Buck Farmer and Drew Verhagen type usage) as he won’t likely compete with Joe Jimenez and Zac Houston for a closer or setup man role in Detroit. Paredes is the first of the many in a group of middle infielders all fighting for time in AA Erie this year. Paredes after having a strong first half to the year that earned him a all-star bid in the Florida State League, got promoted to AA where he has continued to hit. Over his last 16 games in AA, he has hit .298/.397/.383 with a .780 OPS. He only has 1 home run in that stretch, after blasting 12 in High A. He doesn’t have much speed, so his bat will be what gets him promoted and he will not stay at SS in the long-term. He profiles more as a 2B or 3B, so he should be in the mix with Sergio Alcantara, Dawel Lugo, and new acquisition Willi Castro for a spot somewhere in the infield. He may even transition to the outfield, just to get his bat into the lineup. He is a prospect that is undervalued by most lists, but make no mistake, this kid could be a star. Funkhouser is one of the more interesting stories on the Tigers prospect front this summer. After recently getting promoted to AAA, he broke his right foot walking home after a game on the Toledo sidewalks (pro tip: they aren’t great). The injury, requiring surgery, has shelved him for the rest of the summer and he should be ready for spring training, most likely with a chance to compete for a back end role in the starting rotation. On the year, he pitched to a 3.96 ERA over his 97.2 innings pitched. He compiled 96 strikeouts. He did struggle in his two starts in one of this two starts in AAA, which hurt his numbers a bit. At his best, he’ll be a #3 starter, worst a #5. Stewart is one of the prospects Tigers fans have been clamoring to see all summer. Power being his main tool, Stewart has mashed 18 home runs this summer, even with a stint on the disabled list. A International League all-star this season, Stewart has hit .254/.341/.475 this season with a .816 OPS to go along with his 18 home runs. His numbers fit to his career averages, where he’ll hit for power and strike out more than 25% of the time. Being a subpar defender as well, look for him to most likely split time between the outfield and designated hitter next year when he reaches Detroit, as he is MLB ready at this point but he looks to be most likely a September call up (unless the Tigers don’t want clear a spot on the 40-Man for him) unless the Mud Hens make the playoffs, which they have been in the mix for all season. Rogers, is the best catcher in the Tigers system. He is a defensive whiz, but his bat does come up a bit short. His offensive leave much to be desired besides the power, but his glove will get him to the major leagues. On the year, he is hitting .204/.298/.378 with 12 home runs. Again, the offense is the issue here and he may be worth a spot on your squad if the bat can match his numbers from last year, but he does look like he’ll at least get a shot to be a MLB regular because of his defense alone. Houston, is probably one of the most under the radar prospects in the Tigers system. Since he was promoted to AAA, he has taken over the closer duties where he has compiled 5 saves in 6 attempts. He has the potential for form a strong 1-2 punch at the back end of the Tigers bullpen with current MLB player Joe Jimenez. He has the potential to pile up either saves or closes, as he does have the skills to be a solid setup man or closer. On the year across AAA and AA, he is pitching to a 1.99 ERA, a .155 AVG against, and a 0.96 WHIP. Look for him to make an appearance in Detroit later this year or next year. Castro, recently acquired in the trade that sent Leonys Martin to the Indians, is another of the glut of infielders that play for the SeaWolves. Castro is a switch hitter, how has the potential to be a solid contributed offensively. While the numbers don’t show much in total this year, since he has started for the SeaWolves, he has straight out mashed, hitting .368/.368/.789 also hitting a home run in the process. On the year, he is hitting .251/.306/.372, with 6 home runs, 13 stolen bases, and 23 doubles. He has a chance to stick as SS, but he’ll need to cut down on his defensive errors. Clemens, the Tigers 3rd round pick this year, has started out his professional career strong. On the year, he is hitting .271/.371/.458 with a solid .829 OPS. He has hit 4 home runs and swiped 3 bases as well. While he’ll hit for power, I would not expect him to be a stolen base machine. He isn’t a speedy player, so I would expect him to shape out as a power hitting 2B. He does profile to being able to stick to 2B as he progresses as well. Lugo has played all year at 2B after spending time at 3B before his move to AAA. The numbers, .265/.277/.345 with an .622 OPS are not eye popping, he can at least contribute. Lugo is looking to be inline to take over 2B duties next spring and could be an offensive minded player. He won’t hit for power, but can hit a couple here and there and steal a couple of bases. He is worth keeping an eye on for this rebuilding team but if the bat doesn’t play in the MLB, there are others who quickly look to take his spot. Meadows, the Tigers 2nd Round pick this year, is the brother of current Tampa Bay Ray OF Austin Meadows. So he comes from good bloodlines. He is a skilled high school bat that has a chance to be something special, as he has tremendous upside. At his best, he could be a 20 HR/20 SB base type player in the big leagues. The big issues will be if the power develops as his is still very raw and if he can hit when he starts to see more skilled pitching as he progresses through the system. The speed is already there to be a stolen base threat. He is one to keep an eye on but is years away from making an impact with the MLB team. Currently in the GCL, he is slugging .310/.420/.548 with an OPS of .968. He has also tallied 3 home runs and 3 stolen bases in his 42 at bats. Again, his bat will make or break him and if he can tweak his swing along the way to be able to hit advanced pitching, he has the potential to be a star. An inside the park HR for Parker Meadows in the bottom of the sixth inning (with two outs) scores two runs and ties this game up. Robson has done nothing but hit his way up the Tigers system. While not being a stud in any particular category, he has been solid player throughout his MiLB career. This year, he is hitting .298/.385/.462 with an impressive OPS of .848, which is a career high. His other numbers fall along with his career averages. Add in his 10 HR and 14 SB, he has had a solid year between AA and AAA. He is currently playing in AAA and hitting very well, so he could be in line for a September call-up if the Mud Hens don’t make the International League playoffs. I would expect him to get a chance to make the MLB team during spring camp next year. Don’t let the numbers fool you, Alcantara will be a glove first player if he makes it to the major leagues. On the year, he is hitting .280/.337/.347 with 8 stolen bases. If he makes the majors, I would expect his numbers to run a little lower then that unless he’s figured something out, as this year has been a career year (at least average and slugging percentage-wise). He’ll never be an offensive superstar, so he would not be someone I would initially target for fantasy purposes unless he can get those stolen base numbers up. Soto, the Tigers MiLB pitcher of the year last year, has struggled all year. His fastball is fantastic, but his issue has always been his walk rates and his command. His wildness has been on full display this year in Lakeland, has he has struggled to a 4.45 ERA and has given up 64 walks. He had 65 walks all of last year. The strikeouts are still there, with 96 so far this year, but with the walks this has really contributed to his struggles. If he can get his command under control, he has the potential to be a solid mid-rotation starter. Gerber has really struggled this year splitting time between the Tigers and AAA Toledo. His numbers in Detroit over his 7 games haven’t been terrible, hitting .286/.375/.357, which are more in line with his career numbers. In Toledo though, its been a different story hitting .214/.279/.417 with 13 HR and 2 SB. He has struggled with injury issues earlier in the year, so time will tell if that was the cause of his setbacks this year or if AAA Gerber is the Gerber we can expect in Detroit. Hall has had a very strong year between AA and AAA. Originally starting the year in the bullpen, Hall switched back to the starting out of need and hasn’t stopped, earning him a promotion to AAA. He is being used as a starter and could get a shot at the major league rotation in the spring or if the recent call of non-prospect Jacob Turner is disastrous. On the year, he is pitching to a 2.04 ERA over 79.1 IP (8 of those as a starter) with a 1.12 WHIP, 104 K, and 35 BB. 2018 hasn’t been kind to Sodders. He started off the year with a 4.05 ERA over his 46.2 IP with 41 strikeouts. This is out of the ordinary for his numbers and nearly 2 earned runs higher from his time in Lakeland last year. He has been on the disabled list since 5/24, so there is still hope he recovers and returns to his pre-injury form. He has the stuff to be a solid back end of the rotation starter or bull pen piece. There isn’t much to say about Long for this year, as he has been on the disabled list for the entire season due to thoracic outlet syndrome. He has yet to get started, so 2018 looks like a lost year for the starter. I would look for him to hopefully get into the rotation in Toledo and most likely return there next year. If healthy, he has the makings of a #5 or a long reliever. Azocar, once a star in the Tigers system, really faded last year in his first taste of the Florida State League. After a humbling demotion to the Midwest League, Azocar has refined his promising hitting that helped him to shine a couple of years back. He is a speedy outfielder that will hit for contact and has the potential to steal bases. On the year between Low A and High A, he is hitting .287/.305/.396 with 11 SB. Liniak, the Tigers 4th round selection June’s draft, is another of the high upside selections the team made. Signed for over slot, the Tigers saw the raw potential of what he could be. He has plus speed with a chance to develop a little bat, he has the chance to be a regular centerfielder if his skills develop as he matures. Currently in the GCL, he is hitting .223/.266/.269 with 5 SB. While not impressive, he is still young and has only played 31 games of pro ball. So he is definitely a work in progress and someone I’m excited to see progress. Garcia has not played this year after having Tommy John Surgery. He is expected back sometime next year and if he returns to proper form, should get a chance in 2020 to make the Tigers bullpen, possibly in a late inning role. Baez has been downright awful this year. Used as a starter to begin the year, but now in the bullpen as a reliever, his numbers haven’t been great. Opposing hitters are hitting .284 against him and he has given up 17 HR at this point of the year. His ERA is a dreadful 5.69 and has steadily been on the rise since his switch to the pen. While he has one of the better fastballs in the system, his other pitches are not as great. If the promotion to the big leagues as the 26th man proved anything, it is looking more and more likely he’ll be used in a long inning role, which will kill any fantasy value for him. McMillan has not had a strong season at all in Connecticut. In his first taste of A ball, he is struggling to a .160/.300/.224 line showing no power (he wasn’t going to hit for much anyway) and has swiped 6 bags. Hopefully this is just a stumbling block for him and he figures out the advanced pitching. He has the ability to be an average graded player but has looked any of that this year. Next year will be a true test for him if he makes the trip to the Midwest League. Montgomery is slowly putting together a solid season in High-A. After struggling in AA, he was sent down and that seemed to be the spark from him, has his average and on-base percentage have exploded. On the year he is hitting .276/.387/.335 with 11 SB. He isn’t much of a power hitter, so contact and base stealing are what you get with him. Rivera is slowly recovering from his disastrous 2017 that left him at the bottom of this list. The former 2nd round pick, is hitting better this year, hitting .252/.318/.438 with 9 home runs. The power seams to be recovering from last year as he makes the transition form the outfield to a more 1B and DH role. He is worth keeping an eye on and could helpfully start to mash to his potential. Gibson is getting to that point where what you see is what you get. That being a .250ish hitter with moderate power and slight speed. Between Lakeland and Erie, he is hitting .256/.315/.427 with 7 HR and 19 SB, but the speed has really dropped since he has reached Erie, as he has only recorded 3 of those SB since his promotion on June 28th. He is looking more and more at this point as a back up outfielder at best. Alexander is another player who is pretty much showing his true colors. He is looking to be a #5 starter that can eat some innings have and sport an ERA between 4 and 5. He is currently sitting in AAA and on the year he is pitching to a 4.24 ERA over 116.2 innings. He has a .328 average against and has struck out 78. He’ll most likely be a placeholder in the Tigers rotation as the young guns work their way up the system where he will most likely transition to a long relief role. After a dreadful 3 starts in Erie, Castro returned to Lakeland where he has posted solid numbers. On the year, he is pitching to a 3.79 ERA over 97.1 innings with 82 strike outs and a 1.46 ERA. He is looking like a back end piece to the rotation or a long reliever at this point. His next attempt at AA will be the true indicator of his potential location. Burch has had a quietly successful year. Hitting .302/.348/.339 with 9 stolen bases. He is another of the Tigers outfielders that favors a speed over power approach. He is worth keeping an eye on and could be a solid role player, maybe more at his current pace. Gonzalez is a very young international signing out of Venezuela from a year ago. In his first taste of pro ball, he is hitting .245/.359/.371 with a HR and 8 stolen bases. He figures to be another plus speed type player but is years away. So at this point he is a worthy candidate to watch and see as he grows up. Perez is a darling among those who watch Tigers prospects. He has the ability to be plus in everything but power. He is a switch hitter that will hit for contact, can be patient, and doesn’t strike out much (11.3% for his career). He is currently hitting .336/.399/.455 with an .853 OPS and 6 stolen bases. Keep an eye on him, he is one of my favorite sleepers in the system. Myers is having a solid year in West Michigan. H is pitching to a 3.33 ERA with 61 strikes outs, a 1.25 WHIP over his 73 innings. Myers won’t wow anyone with his pitches, but with a solid defense around him, he as the ability to put up decent numbers and be a solid back end starter or long reliever. Smith was the Tigers 6th round pick in June. While he has yet to pitch professionally, it is his tremendous upside that I love. He could be a one time appearance on this list if he doesn’t shape up when he finally puts on a uniform, but it is his 6′ 10″ frame and fastball that can get up to 97 that intrigue me. That with his change up, he may have a chance to stick as a starter. I’m curious to see how the Tigers use him and can’t wait to watch him move up through the system. Deatherage, with probably the coolest name in the minor leagues, was the Tigers 10th round pick in June. He has come out mashing, hitting .290/.352/.434 with 6 HR and 15 stolen bases in his 40 games since being drafted. He has the potential to be an outfielder with good defense, power, and speed. He is an intriguing prospect and for the name alone, someone I want to succeed. Hill is ranked higher in other services, but I just have the overall feeling that he never cracks a major league lineup. The bat still has yet to advance to being even an average hitter. His defense and speed are elite, but without that bat, I’m just not seeing a chance for him to be a regular at the major league level. Because of the injury history, that is another red flag for him as well. I have hope that with time the bat can come along, but at this point, he is a speedy defense first player. On the year, he is hitting .239/.298/.311 with 33 SB and 4 HR. Gutierrez is a very under the radar type player. He has primarily been used at reliever this year, but has started starting again upon his promotion to Erie. In the long run he does look to be a bullpen piece. On the year, he is pitching to a 2.82 ERA over 89.1 innings with 96 strikeouts and a 1.20 WHIP. Ecker is currently on the disabled list for right shoulder tendinitis. 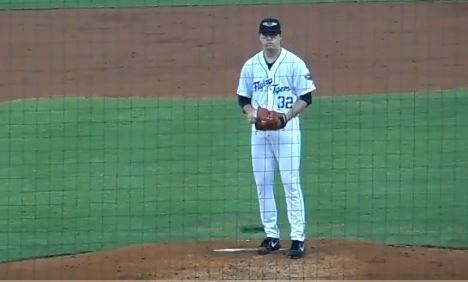 He has spent his entire year in Erie, his second year there and has failed to capitalize on injuries to other relievers. Used entirely as a reliever in his 36 appearances, he has accumulated 46 strikeouts, a 1.28 WHIP, and is allowing opposing hitters to only hit .212 against him. He also have 1 save in 5 opportunities to go with his 3.78 ERA. He is limited in his fantasy value and could have value if he rediscovers his ability to hold a save. He’ll have competition for a relevant reliever position, so he is not worth much in fantasy at this time. I’ve never been sold on Morgan’s offensive abilities. To surpass the other catchers above him, who are also defensive catchers, he needs that bat. He has the makings to me of being Jake Rogers backup in a couple of years. On the year, he is hitting .238/.330/.333 with 4 HR and 1 SB. King was humbled in his first stint in Connecticut, where he shuffled to a .204/.250/.286 line with 2 SB. He is still very young and hasn’t fully filled out yet, so there is still plenty of time for him to develop. Back in the rookie leagues, he is showing the offensive abilities that caused me to rate him much higher to start the year. If he can transition this to his next chance of A ball next year, he has a chance to be a very solid defensive shortstop with some speed and the ability to get on base. Just don’t expect him to hit much for power. Rodriguez has had a solid year as a starter in West Michigan. On the year, he is pitching to a 3.74 ERA, with 92 strikeouts over 92.1 innings pitched. He has the potential to develop into a back end starter at his best. Recently signed as an international signing, De La Cruz is a raw OF that has the potential to be a plus defender with above average power. He’ll be an intriguing prospect to watch but being only 16 is years away. O’Loughlin is finally state-side after finishing his schooling in Australia. Being used primarily as a reliever, he is pitching to a 4.35 ERA over 20.2 innings pitched with 25 strikeouts and is only allowing a .211 average against him. He has the chance to both start and play in relief. He is still young and adjusting to pitching on this side of the pond, so the next year or so will really show how the Tigers will use him. Foley is a reliever by trade. He has been on the disabled list all year but has the potential to be a solid backend reliever. Peterson, a Midwest League All-Star, was a recent promotion to Lakeland. He has struggled upon the promotion and is currently sitting on the disabled list. On the year, he is hitting .257/.301/.317 with 20 SB. de Blok has struggled this year, after having a solid year last year. Being used as a starter this year, he is pitching to a 4.71 ERA over 101.1 with 71 strikeouts. Moreno is the biggest dropper on this list due to him having Tommy John Surgery. His fastball is still out of this world and if he can return to form in late 2019 or 2020, then he will be worth watching again. Any thoughts on Wilkel Hernandez? It seems like he should be mentioned on this list somewhere.